Filed to: Da Fuq?Filed to: Da Fuq? Linda Daniels poses with two of her granddaughters. The family of a New Jersey grandmother who was dependent on an electric-powered oxygen tank says she died Thursday afternoon after her electricity was disconnected for nonpayment. Linda Daniels, 68, was on hospice care and needed the oxygen to survive because she suffered from congestive heart failure. Her family told NJ.com that the power in her Newark, N.J., home was turned off by Public Service Electric & Gas (PSE&G) around 10 a.m. Thursday morning; Daniels died at 4:23 p.m. that day of heart failure. 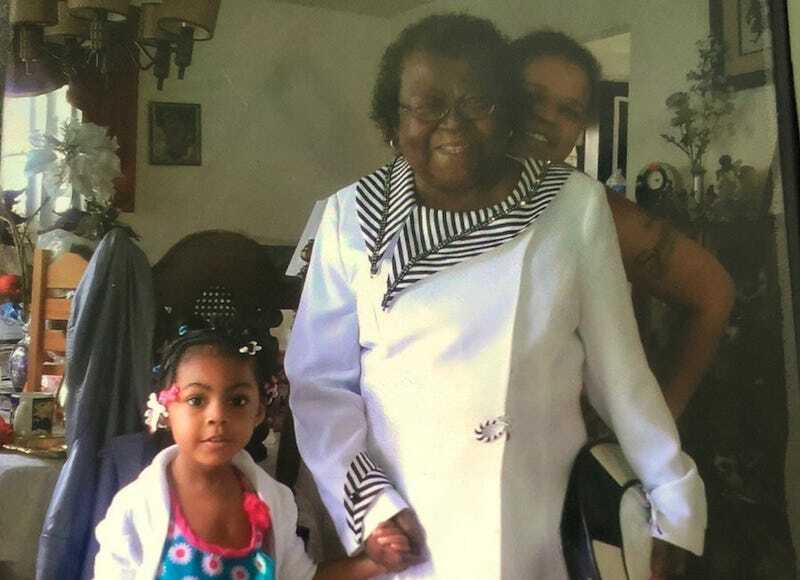 The temperature in Newark was in the 90s Thursday afternoon, on what her daughter describes as “the hottest day of the summer.” Her family members said the heat only added to the trauma. Daniels’ daughter, Desiree Washington, told NJ.com that she spent the afternoon applying ice packs to her mother’s sides and fanning her in an attempt to keep her cool. Washington said Daniels had just paid $500 to the company two days before and provided proof of that payment to NJ Advance Media, the parent company of NJ.com. Washington said she and other family members called PSE&G throughout the day, pleading with them to turn the power back on. Namiotka told NJ.com that the family did not notify PSE&G of Daniels’ medical condition until after the power was shut off. Washington disputes that, saying family members as well as hospice workers had informed the company in writing about her mother’s medical issues. “We are reviewing our records to determine what transpired. We encourage customers who have medical issues to contact us so that we can note their circumstances on their accounts,” Namiotka said. Daniels’ family also denies she was behind on her bill. Washington told ABC7NY that she is considering legal action against PSE&G, but right now her main focus is her mother’s funeral on Wednesday.